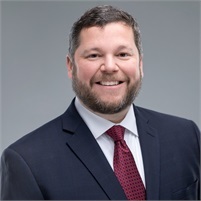 Michael Blank is the Executive Vice-President of The Sheeter Group and has over 17 years of insurance and financial services experience, specializing in non-qualified deferred compensation and succession planning specifically for credit unions. Michael oversees the compliance and regulatory aspects for all plans implemented at The Sheeter Group including the development of a pre-purchase analysis and compliance documentation. He understands the unique aspects of customized plans and implements, monitors and maintains a comprehensive risk management process for the Credit Union. Michael first met Andrew Sheeter in 2001 while working at Benmark and reunited with him at The Sheeter Group in 2015. A specialist in the design, implementation and administration of non-qualified plans for Credit Unions, he also works closely with prospective and existing Credit Union clients to develop financial strategies to offset costs associated with new and existing benefit plans. Michael is a graduate of the University of Georgia and lives in Marietta, Georgia with his wife and three children. Michael is a registered representative for MML Investors Services, LLC.